On the seventh day of February in 2018 the legendary rock-band Metallica will come to Barcelona to perform in Palau Sant Jordi. The band has played in Barcelona several times, and it is always a rush to be there at one of their concerts. 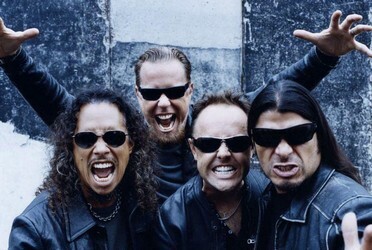 Some people feel sad that Metallica only will have one concert in Barcelona, especially knowing that the band will perform twice in the Spanish capital, Madrid. But, one concert is way better than no concert, so we are still happy knowing that Metallica will come to play in Barcelona on February 7th in 2018. The concert venue is the always-so-fantastic Palau Sant Jordi. The venue is located quite central in Barcelona, making it a venue easy to reach, and easy to find. If you would like to be there at the Metallica concert in Barcelona in 2018, then you can buy tickets using the ticket link you will find further down in this article. If you would rather listen to Metallica in another city in Europe in 2018, our suggestion would be to enjoy a Metallica concert in for example Prague or Krakow. If you lack patience, then you should travel to Lisbon instead, the first city in which Metallica will perform in 2018. The concert will be held at the MEO Arena in Lisbon on February 1st. If you need help with your airport transfer in Lisbon, just press the link. Would you like to know more about other events taking place in Barcelona? You can read more about other concerts, exhibitions, and festivals here in our Barcelona Guide.